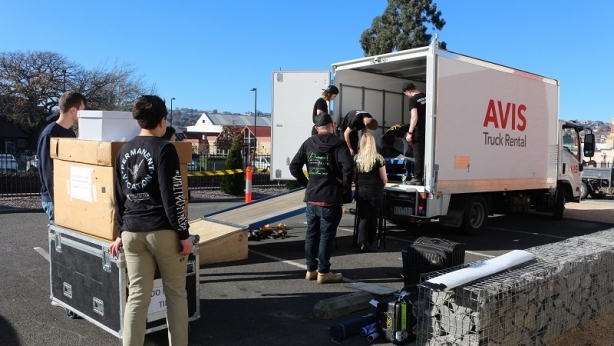 MTC’s 2017 education show Melbourne Talam has wrapped a seven-stop regional tour, completing their 31st show at Launceston College in Tasmania. 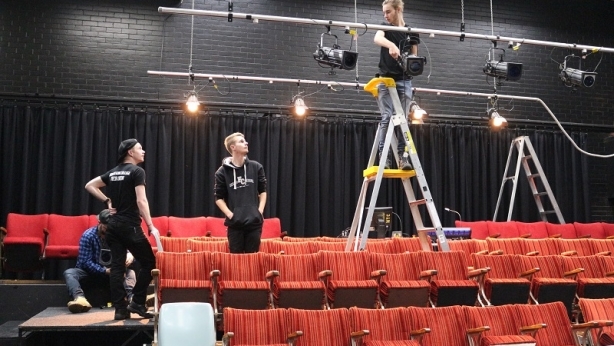 Where did the tour go and why do you think it is important for people living in regional areas to gain access to productions like Melbourne Talam? After a successful run in the Lawler Studio, Melbourne Talam went on tour to six venues in regional Victoria travelling close to 2000 km to Mildura, Bendigo, Wodonga, Shepparton, Warrnambool and Geelong as well as to Launceston College in Tasmania. I think it’s important young people engage with their local performing arts centre. We love providing opportunities to come to Melbourne to see shows too (through Sharing the Light supported by Crown Resorts Foundation and The Packer Family Foundation) but to enhance their connection at a local level is vital. To see that space as somewhere they can come and have life-enhancing or life-affirming experiences can be such a powerful thing, particularly in regional areas where social issues can be magnified in a small population. I grew up in Mildura and know the impact theatre can have when you think there’s no one else out there like you, or who likes the same things as you. That’s why being able to not just do the shows but have all the ‘scaffolding’ around them (Pre-show Talks, Post-show Q&As and workshops) can help some kids ‘find their tribe’. You only have to impact one life to have done something worthwhile. For regional audiences to see Melbourne Talam means that they are exposed to cultural stories and perspectives they may not have had any idea about or experience of. Having an understanding of what they might initially find alien, breeds tolerance. During the tour, MTC Education Coordinator Nick Tranter and workshop facilitator Lenka Vanderboom visited schools to run workshops exploring the themes, ideas, context and performance styles of the play. These workshops are designed for senior students to unpack the key themes and ideas from the MTC production to assist them with their analysis of the work. Students also learn about the play-making techniques used by the creative team, and apply these skills to their own interpretations of script excerpts. What was the show’s reception like in these regional centres? We were extremely pleased to double our audience in Mildura from last year. In most venues, we have had similar numbers to our Lawler season in Melbourne so that has been encouraging. We had three new venues this year – Warrnambool, Shepparton and Wodonga. Warrnambool and Wodonga particularly exceeded our expectations with over 100 people attending each performance. If you could only have one of set, lighting or sound – which would you choose and why? How did you work out the movements and gestures for your character? Do you struggle to get roles because of your Indian heritage? Do you get typecast as an Indian actor? Do you all have Indian heritage? What’s the difference in performing in a more multicultural place like Melbourne than here [Warrnambool]? Do you think they’re laughing at you here? Cast and Audience members during a Post-show Q&A. Who is involved in pulling off a tour on the ground? There are three cast members Rohan Mirchandaney, Sahil Saluja, and Sonya Suares, one stage manager Lisette Drew, technician James Lapiri, and a tour manager (myself). So most of the time a happy team of six. We’ve also been joined at various times by Director Petra Kalive, Movement Coach Lyndal Grant, Lighting Designer Rachel Burke, Sound Designer Darius Kedros and Head of Education and Families at MTC Jeremy Rice. 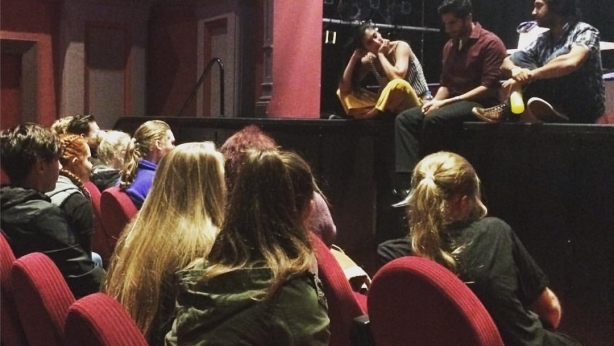 MTC Casting Department, Matt Bebbington and Janine Snape, also came to Bendigo to run a session of general auditions for regional residents, so they too joined us for a Q&A at the Ulumbarra. 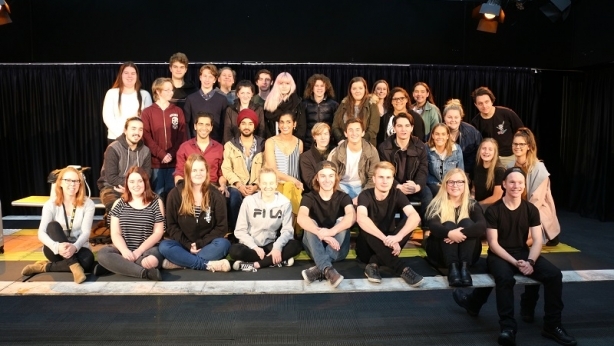 The cast pitch-in and are hands-on too – with sorting props and costumes but also in making that extra effort in connecting with a local audience by doing Q&As, taking photos with students and attending meet-and-greet events, like Warrnambool’s subscriber event held after seeing Melbourne Talam. What were some of the highlights of Melbourne Talam’s regional tour? Our Day One drive from Melbourne to Mildura meant approximately seven hours in the car together. The choice of music was crucial. DJ duties were rotated and we had everything from Crowded House to Fakear, thanks to Sonya and Sahil. Rohan was busy catching Pokémon. 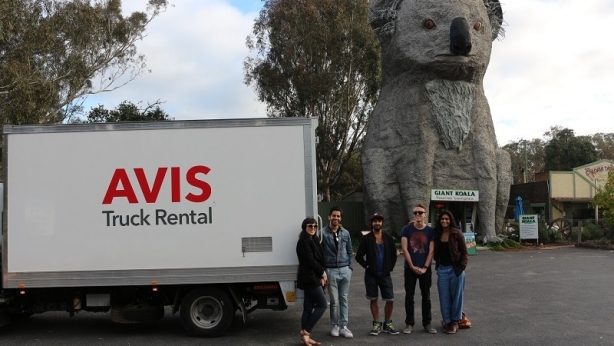 We had some great photo opportunities at the beautiful Brim silos and the (once beautiful maybe) Big Koala on the drive from Mildura to Warrnambool. Visiting the Cheese and Butter Factory just out of Warrnambool meant a lot of cheese was tasted and bought. We visited a very ornate cinema called the Regent in Albury where we saw Wonder Woman. On our first day in Launceston we headed to the Stillwater Providore for cheese, olives, salami and crisps to have a picnic on the water’s edge as the sun went down – romantic until the bugs invaded. Apart from it being busy and at times gruelling, it means you get to spend some quality time with other people on the same project. It’s a bonding experience like no other! The tour of Melbourne Talam is part of the Company’s Sharing the Light initiative, designed to reduce barriers some young people face in accessing arts education and learning opportunities. Sharing the Light is supported by Crown Resorts Foundation and Packer Family Foundation. Regional Enrichment Workshops are supported by the Gaily Lazarus Charitable Foundation. If you are interested in supporting MTC’s Education program with a donation to our Education Giving Circle then please contact Chris Walters, Annual Giving Manager on 8688 0938 or email c.walters@mtc.com.au for more information.